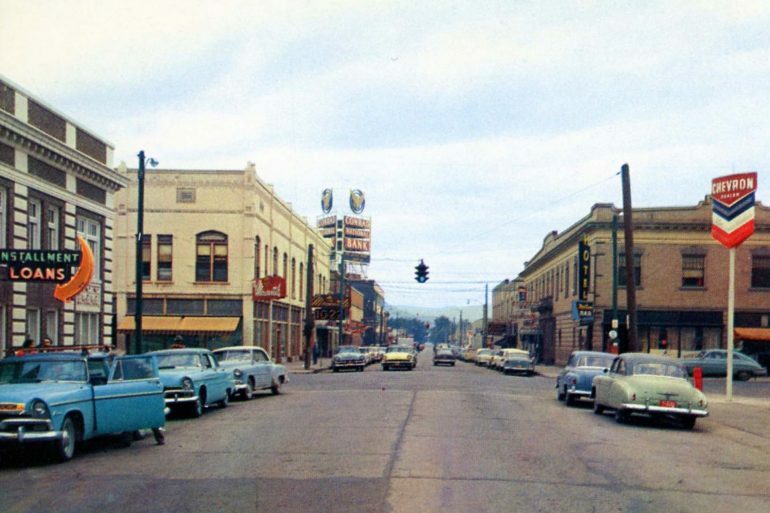 Kalispell, Montana in the 1950s. From the Editor: In Montana today, 19 percent of children live in poverty, while 28 percent of parents lack secure employment. 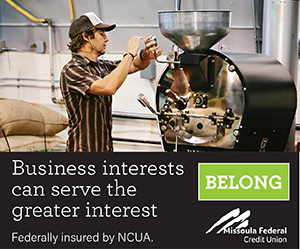 Affordable housing has become an important topic in cities like Missoula and Bozeman. But the issues surrounding poverty for Montana families have been long-standing, as seen in this excerpt from the Montana Business Quarterly in 1965. We have been hearing a great deal about poverty in the midst of plenty these days. For most Montanans – and for most Americans – the idea of poverty probably stimulates brief visions of Appalachia and the South or possibly an Indian reservation nearer home. As we travel between our own comfortable homes and those of our friends or as we contemplate our own problems, most see very little real poverty. Yet, according to the 1960 Census of Population, 20 percent of all families in our state and something over 40 percent of all Montana individuals living alone had incomes below the poverty level in 1959. This level is defined by most economists and government agencies as an income of less than $3,000 per year for families and of less than $1,500 for individuals living alone. While the definitions are admittedly arbitrary, they certainly do not seem to be overgenerous. Try to visualize your family getting along on such incomes. The proportion of Montanans with very low incomes is slightly lower than the proportion in the United States as a whole. Among our neighboring states, we stand approximately midway: in relation to their populations, the Dakotas have more low income families, Idaho has about the same number and Wyoming has fewer. Nevertheless, when the Montana percentages are translated into numbers, they mean that 33,457 families or almost as many families as resided in Cascade and Yellowstone counties combined in 1960 had less than $3,000 on which to live in 1959. There were, in addition, some 25,000 individuals, not members of any family group, with incomes of less than $1,500 in 1959. If we stop to think of these people as living, breathing individuals, it is difficult to be complacent about poverty in Montana. There have been many reports about the characteristics of the poor in the United States. We know that they include many nonwhite families and many families headed by persons of little education or by persons over 65 years of age, or by women. These generalizations also apply to poor families in Montana, as Table 1 shows. 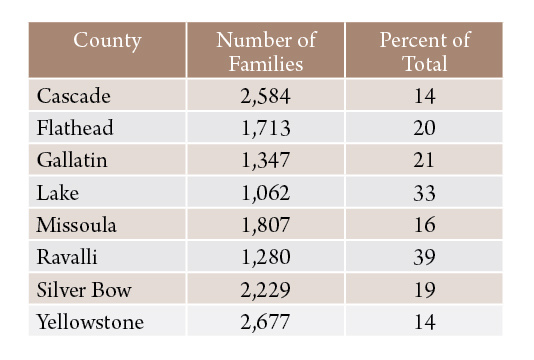 Table 1 also indicates that approximately one-half of the Montana families classified as poor have at least one child. Experience has taught us that these children may well be the parents of our next generation of underprivileged youngsters; the legacy of poverty is frequently passed from parents to children. Table 1. 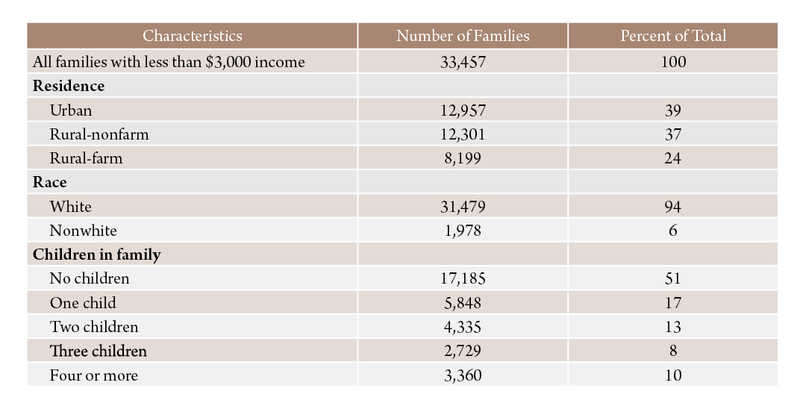 Characteristics of Montana families with less than $3,000 income in 1959. More revealing perhaps, is Table 2, which gives the incidence of poverty for various types of families. By “incidence” we mean the percentage of families in a particular category whose incomes were below $3,000 in 1959. In other words, Table 2 tells us that during 1959, almost one-third (32 percent) of all Montana farm families had incomes of less than $3,000. Table 2. Incidence of poverty among various types of Montana families, 1959. 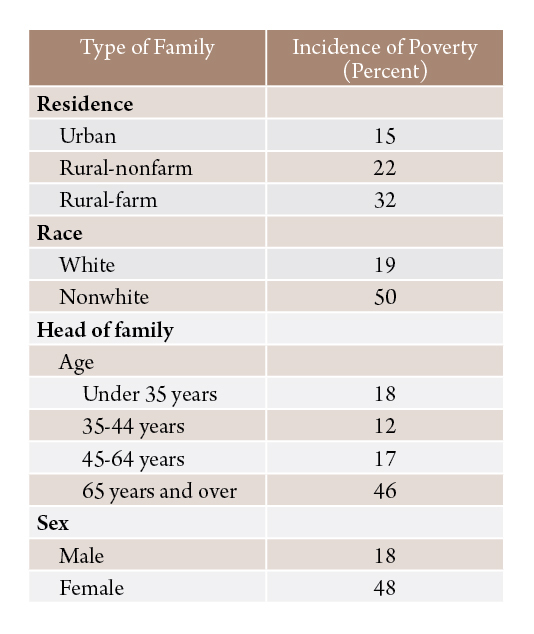 The majority of poor families in Montana are white, nonfarm households with male heads under 65 years of age. The proportion of unemployment among heads of these families is not large and of those employed approximately two-thirds reported that they worked from 50 to 52 weeks in 1959. 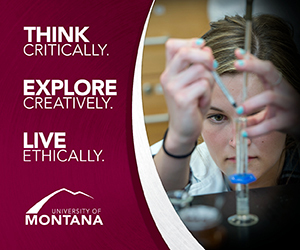 Poverty occurs not only in all types of families, but in all parts of Montana. In most cases, the largest numbers of poor families are found in the larger population centers in the state. Table 3 lists the counties with the greatest number of poor and they include the four largest counties in Montana – Cascade, Missoula, Silver Bow and Yellowstone. Table 3. Location of poor families in Montana, 1959. Counties with largest number of families with incomes of less than $3,000. Concern for the poor is not new, but it has grown in recent years. As most Americans have become more prosperous, they have become sensitive to those less fortunate. And experience has disproved the old idea that the majority of the poor are condemned to that condition because of innate deficiencies in character or intelligence. It is also true that the burden of welfare payments, which in recent years have amounted to approximately $11 million annually in Montana, could be greatly reduced if the recipients were helped to become more productive individuals. The elimination of poverty will be a long slow process, but it is a worthwhile goal for us all. As President Johnson has stated, “We pay twice for poverty: once in the production lost in wasted human potential, again in the resources diverted to coping with poverty’s social by-products. Humanity compels our action, but it is sound economics as well.” Montana can no longer afford to ignore poverty within her boundaries. Maxine C. Johnson was assistant director of the Bureau of Business and Economic Research in 1965. She became acting director in 1967 and was officially named director in 1972. She retired from the bureau in 1988.